Public institutions are hiring more people, but not those without college degrees, government statistics showed Wednesday. According to state portal All Public Information in One, 361 state-run institutions employed 22,560 people in permanent positions last year. The proportion of hires for whom high school was their highest educational attainment was 1,858, or 8.2 percent. The latest figure marks a 30.6 percent increase in overall hiring from 2013 but a drop of 7.9 percent for employment of people without a college diploma. Statistics showed that 247 state-run agencies, or 68.4 percent of the total, had no high school graduates among new entrants. The corresponding figure in 2013 was 219. Past administrations at one time adopted as policy employment opportunities for students who choose to work after finishing high school. Labor community watchers say the policy lost steam as administrations changed. The proportion of high school graduates among total hirings was 11.7 percent in 2013, after which it dropped to 10.2 percent in 2014 and 9.2 percent in 2015. It was 9.3 percent in 2016. The Korea Railroad Corp. hired the largest number of high school graduates last year at 293, equal to 27.6 percent of all hirings. The Korea Electric Power Corp. was next with 229 (14.6 percent), followed by National Health Insurance Service with 113 (10.5 percent), Korea Land & Housing Corp. with 75 (14.1 percent), and KEPCO KPS with 72 (25.4 percent). Statistics indicated that the financial community, which once promoted hiring people straight out of high school, also narrowed opportunities for such applicants. 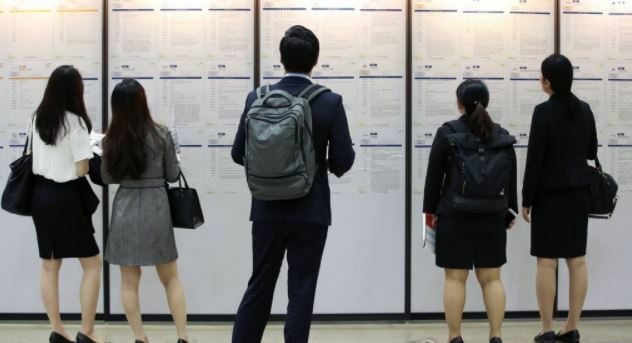 Industrial Bank of Korea, who hired 521 people last year, and the Export-Import Bank of Korea, which added 33 new employees, both did not pick any high school graduates. The Korea Development Bank, which had hired 55 high school graduates in 2013, employed five this year.